The Children's Food Campaign (CFC) has claimed that Nestlé is misusing the Government's Change4Life branding to promote its high-sugar products. 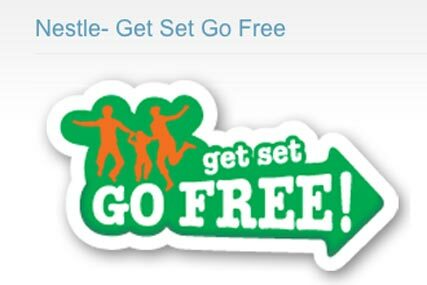 The group claims that Nestlé’s "Get set go free" promotion, which encourages families to collect tokens from its products in order to claim family activities, carries the anti-obesity campaign’s logo on its website, breaching a key message of the government campaign. One of the messages of the Change4Life campaign, of which Nestlé is a partner, is "sugar swaps", asking families to swap food and drink with added sugar, for products lower in sugar or sugar-free. Yet a survey by the Children's Food Campaign found that 24 out of 27 products included in the "Get set go free" promotion are officially categorised as "high in sugar", according to the nutrition-labelling system developed by the Food Standards Agency. As a "corporate partner" in the Change4Life campaign, CFC claims that Nestlé should be complying with Change4Life brand guidelines, which state that communications must support both physical activity and healthy eating. Christine Haigh, CFC coordinator, said: "This is yet another example of the food industry claiming to promote healthy lifestyles, while in fact encouraging families to eat more junk food. "No company that uses these practices should be allowed to be associated with a government health campaign, and this should be a wake-up call for the Department of Health, which wants to see companies like this more involved in the Change4Life campaign, not less." A Nestlé spokesperson said: "The use of the Change4Life logo on our Get Set Go Free website was approved and agreed by the Department of Health. We will continue to work with the Department of Health and will act on any changes they advise us to make."